Answer: How to Start a Trucking Business? Trucking businesses have therefore flourished because of the necessity for trucking services in moving food and consumer goods. If you are planning to get into the trucking business, it is important that you know basic things about operating a trucking business. 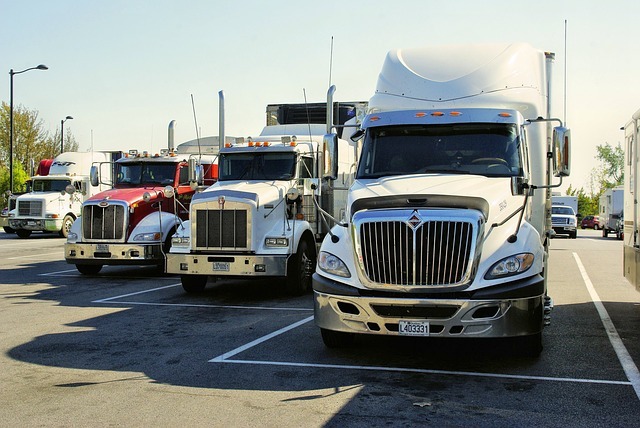 Your start up capital for a trucking industry business will depend on how you intend to operate your business particularly the trucking operations and equipment. Trucking business operators have the option to purchase or lease their own trucks or hire subcontractors who own and operate their own trucks. The former would require a large investment because of the considerable cost of buying or leasing trucking vehicles. Generally it is advised that entrepreneurs who are looking at the trucking industry for investment must have at least $10,000 in capital. This investment can be easily recouped though because trucking transportation businesses reportedly earn income of at least $50,000 in a year. Targeted market for a trucking business includes people and business organizations that manufacture, sell and distribute goods and materials. Getting big companies to work with you will be difficult though if your trucking company is just starting up and your trucking transport business has limited coverage. It is therefore important that you look for alternative potential clients which can include small business operators that are participating in trade shows to showcase their goods and products. These clients need trucking services when moving their goods from one location to another. You can increase the number of clients who avail of your trucking services by advertising your trucking freight business. You may, for example, post ads in trade magazines where prospective clients are able to find them. You can also offer better rates than other trucking businesses and highlight your special rates when sending brochures to potential customers. Word of mouth remains to be helpful so take the opportunity to provide the best service to your clients as this can help spread the word about the excellent trucking services that you offer. How to get contracts for trucking business is just simple. Here are some of the tips you need to consider in the future in order to sign contracts with other companies. Do you need some tips on how to buy a truck for business use? There are some useful information for you and pointers when buying a truck for business purposes. I have had a cdl since 2000 and i have an EIN, i want to get a semi so i need to know how to put in bids, who to contact, how to get long term contracts, are gov't contracts available to haul, should i get the truck before i have a bid and who has the best insurance rates for commercial big trucks? ? I have not been on the road in a few years but i have driven trucks and willing to take test or refreshing coarse if it is required. I have a cdl and i am interested in starting up my own trucking company I don't know where to start how do I pick up clients i am in the same position as corey above. I WANT TO KNOW HOW MUCH DOES IT COST TO START A SMALL TRUCKING COMPANY WITH 10 TRUCK. I own 2 Bobtails and I'am interested in starting a delivery service or LTL business, is this a good idea. I've been an owner operator for the last 12 years, specializing in in-home deliveries. I'm tired of making other people all the money and being treated like a second class person. I believe that as a driver I have been taken advantage of for far to long. I would like to start my own delivery service but have no clue how to break into this secret club. I've tried in the past and was successful for a short period of time until the contract was taken over by a larger known service. It has been an enormous struggle to remain positive about the business that I love. I hope that I can get some really good advice about what to do. I want to start a small trucking company locally in south africa kzn. i need some advise, where can i purchase an erf truck that is less than fifty thousand rand and contracts to get jobs? i want the truck to work at the durban harbour delivering containers. please help. We work with our clients to obtain the best possible rates for our owner operators. If you are interested feel free to contact. hi! I'm interested in starting a new trucking business in South Africa. I don't know where to start. Is there any reading material that you can recommend or anyone I can contact? Thank you. @Gabariel, What is your investment amount? How big is your company gonna be? Is that you want to start with 1-2 trucks or more? You need to provide more information on this in order to advice you more. how much will it cost to start a small trucking company in the country? I WOULD LIKE TO BUY MY OWN TRUCK HOW CAN I GET A GRANT TO BUY MY OWN TRUCK, I ALREADY HAVE A PLACE TO PUT THE TRUCK. I am trying to buy a truck to start my own business. I keep running into snags, because no one is loaning money for the transportation businesses. I am looking low price trucks, but don't want to get to old so I can make money not spend money. I have located a 1999 Freight liner that is in grate condition and would be a dependable first truck. I need 13,500 dollars to get started, can you help me? i also want to start a trucking business, and i need your advice please, because i am interested in business. I've had my cdl's for 24 years & i'm tired of making someone else richer. I want to start my own trucking company for my family, how do i get started. where do i start? I am also wanting to start my own business by being an owner operator. I have my class A and am tired of working for other people. I am starting from scratch and need to know what all I need to get started. Need to know the do's and dont's. I am looking at what options I have in starting a trucking company in terms of the finance and ownership, how do I go about securing contracts with other companies? How would, I start my on LTL delivery company What should I focus on doing to get contracts. What materials should I read or better yet what company provides materials for start up owner? I need information on the following issue. How to start a trucking business? Basics on how to secure contracts? How to secure start up capital? I will appreciate if i can get the information as soon as possible. I'm wondering if someone might be able to provide some tips on running a trucking company. My husband & father in law are currently running a small one but struggle daily with trying to keep from having to shut it down, finding good & reliable drivers, and they also do the maintenance on the trucks themselves. Even with all of their hard 24/7 work, they just can't seem to find an operation that works for them. I would appreciate any tips & suggestions available. I would just like to see their hard work pay off! Thanks! Hi, i'm 18 years old...leaving in philadelphia, PA. i was wondering can i get some great advice how to start my own trucking business in the future, Basics on how to secure contracts? How to secure start up capital? how much would it cost me to start at least with 5 to 8 trucks and i really need every little details so i can start. I will appreciate if i can get the information as soon as possible please and thank you!!!!. geoffrey, i can say this it takes someone with a lot of heart to travel up and down these roads every day and its really hard when you got a family at home... wait till you are 21 yrs old and go be a company driver first. keep your eyes on the fuel prices. you will learn the in and outs of being on the road. your dispatcher can make you break sometimes, you just have to know when it is your breaking point out on the road and you need sleep. i don't care what load is on me when i get sleepy i stop that truck because there is nothing in that box that's worth more to me than not being able to go home and see wife and kids again... i haven't been late on a load and don't plan to be... good luck i'm just stating out on o/o side and its hard. it's all about how you spend your money and on what because when you become a o/o every penny counts. build you a business plan and stick to it and try to eat out of your truck. i know the women are hot and the foods good but it wont do anything for your business... good luck and be safe and keep this in mind "keep the shiny side up and the rubber down"
I have seen several posts regarding starting up your own trucking business, it seems that most people overlook a lot of the start up costs. First you will need equipment such as trucks, trailers, load securement devices, a dependable cell phone service. You will also need to look at acquiring your own cargo insurance, tractor/trailer insurance, cargo insurance often times requires a $10,000 payment for the required amount of coverage. You will also need to acquire your own authority/DOT/MCC registration, as well as setting aside the proper amount of overhead (operating expense) to hold you over for 30-90 days. Many of your customers do not pay for services for up to 3 months after you have provided a service for them, not to mention you need to cover yourself in case of a breakdown, etc. If you are on a time sensitive load of perishables for example and your equipment breaks down, you could end up being stuck responsible for the load as they may not accept it after a set amount of time. This could be a major setback and you need to be prepared for it. Be prepared to set aside as much as 40% of your gross earnings for taxes, etc. Planning is really the key, and not expanding the size of your company too quickly, it's always tempting to expand as quickly as your freight options expand but it's not always a good idea because as quickly as those freight options expanded they could dry up while you are left holding the note on a lot of equipment/payroll/etc. my story is different, have done enough research on truck business, my dilemma is how do i finance this business, i have all the knowledge but am honestly stuck. I want to start a trucking company with one truck. I want to know the first step in starting a the company. @Howard Matthews, I need to know few things before answering your question. Which state are you in? Are you going to drive or you gonna hire a driver? How much does it cost to start a trucking company and whats the minimum trucks you can start with in South-Africa? I'm interested in starting my own trucking business. I need financial & long term contract assistance, so where and how do i get started? I HAVE RECENTLY REGISTERED WITH CIPRO AND WOULD LIKE TO VENTURE IN GOOD TRANSPORTING BUSINESS BECAUSE I SAW THE GREAT POTENTIAL IN THIS BUSINESS. I HAVE DOWNLOADED SOME FORMS FROM NEF FOR FUNDING, BUT I AM EMERGING BUSINESS WITH PROJECT CASH FLOW, BALANCE SHEET AND INCOME STATEMENTS I NEED SOME ASSISTANCE SINCE I DON'T HAVE A BUSINESS PLAN ON STARTING MY BUSINESS. I would like to start a trucking business. I need to know what steps should I take to establish this. I want to start my own business with one truck. Where do I began? Could I secure grant to cover start up cost? I'm interested in starting my own trucking business in South Africa. How do I get started? Is there anyone out there who can assist with a contract or subcontract for beginners in the industry, people who can actually help you to grow your business. I am looking for 10m3 tipper but is hard to get finance even if i have deposit. Please help with advices and connections. I need to know if I need a DOT number to drive locally in SC? My haul will be within 100 miles of my location. I want to start a trucking company in rustenburg with one truck. I am not going to drive myself. I would like to start my own trucking business but I do not know how to go about getting my start up cost. I would be the only driver therefore I only need one truck. Where do I begin? I would like to start a trucking business i have R50,000. Please advise on how to get a contract. My husband and I currently checking into purchasing a truck and starting a business. The first of course is to have your CDL. We have contacted insurance companies who want 2 months of payments down which is ranging from $1100-$1300 a month. I have figured we would need a month of gas money saved which is about $5200. Then you figure to tag the truck yearly. Now my husband is leasing on to someone and he will get 90% of the pay from the runs. We found a truck we are purchasing from an individual we know which happens to be the truck my husband currently drives. So we pretty much know the costs. Plus you have to factor in toll costs, repairs, and of course your taxes. I would advise talking to someone who is in the business local to you, but runs a small trucking business. Learn the ropes from someone reliable. Then look at someone who has made mistakes. We are doing just that. We are going to go slow with starting with the leasing on, then gradually work into my husband getting his own authority and broker's license then leasing on other trucks. Now this will not work for everyone, but the best thing I can tell you is research and ask questions of your local companies. Every area is different. Why don't all of you asking for someone to tell you "how to" go drive a truck and learn from the bottom up. Read and learn. If you have to ask "how" on this site, you will never make it. Who will be there to tell you "how" when the first problem comes up? i am in houston, tx, united states. a friend and i are considering buying a truck. he has a CDL, i do not. he will be the driver i will just be the investor. we are trying to do this the right way and are searching for advice, help all that we can get before we do anything. thank you. Aurora IL. United States. I am working on my CDL now in the Chicagoland area. What I am looking to do is, one; to drive for a year to get the experience before purchasing a truck, I then would like move to Texas and hire a driver. Then in time maybe purchase another truck and hire another driver. The question is, owning a truck and hiring a driver instead of one driving it, can that still be profitable? Also, I have a three year old DUI how or where can I find an opportunity to start driving. I WANT TO START A SMALL SAFE TRUCKING COMPANY BUSINESS OUT OF ATLANTA GEORGIA AND I AM LOOKING FOR BUSINESS PARTNERS. I am currently in Tyler, TX, and I am seeking to help a family member start his own trucking company. He already has the truck and trailor, DOT number, and insurance, but needs contracts so that he can start making money in order to save money to become an owner/operator. Please email back with suggestions or contract information. i want to start a small trucking business company but i don't know where to start. i'm in durban. please help. i am nutan das. i want to start a business. i am from INDIA, WEST BENGAL, KOLKATA. im based in durban, south africa. i have a very lucrative transport business running for 4 years. 2 horse trucks and 2 tri axle trailers. i have excellent contracts. i am now looking to sell outright or a partner. contact mohammed 0828924741. I am interested in a food transportation business at Qacha's nek at Lesotho, how do I go about financing this business. Ive been a truck driver for 20 years. I'm looking into starting my own specialized transport company. I lack the finances. Can anyone help me with government loans. I'm sure there are some out there. Hi, i'm a 20yr old student and currently doing my 2nd year in varsity and i've been doing my research about starting a transporting business. all i want is how to get the capital required and how to secure my business so as to gain long term contracts. hi i am 31yr old and i have already being registered a company name and the clearance certificate of sars. i want to start truck business so i dont have enough money to start. i was at fdc; firstly they want to know that do i have sub contract where the truck will work. so i dont have sub contract to find can u please help me with contract so that i can be funded. my numbers 0836849956. I am interested in a trucking business but l don't know who will finance me if I don't have security as I will be a beginner. i live in capetown and i would like to start trucking business, i do not need funding at this stage, i just need to know if it is easy to get a contract. I am from central texas, my question is how to put together a business plan that can grant me the type of loan that I need to get started. Thank you. We have a transport business in Zimbabwe we were wondering, if there is anyone out there who can help us go international? Mafikeng, North West, South Africa. I have the capital, dont know how to do a business plan, the fundamentals of registering my company name and all the permits. Pls help! hi, am thandi in palm springs, south africa, can paballo plz email or call me on 0785462258. I would like to have an experienced driver to talk about the trucking business as i think they are more knowledgeable about the business. hi, actually i want to start trucking business in india state maharashtra city mumbai. but i dont have that much capital. how can loan would be possible from any bank. i have an idea how can start business. my number is 9773202733.
hi i m from Johannesburg, i had my own transport business but had some issues and lost it. I want to get back in the business would like to know how i go about it i don't have the finance to, but got the knowledge and know the rights from wrongs now. Please help!! I have a registered company and I would like to pursue business in logistical trucking. I have deposit to put in truck purchasing but the banks are reluctant to finance me to get a truck. They said since my company was registered wef 2006, the company was dormant as such they can not finance. Kindly assist. Wiseman Transportation, Sioux City, Iowa: United States of America I have my EIN # and my husband is the driver. I need the same information as the above. Where do we start. We have a truck, lease to own, but the engine blew. We now need capital to pay off the truck and start over. Where do I start. I have been driving truck for others for about 7 years and am interested in becoming an owner operator. I have my business plans, costs and other start up issues relatively figured out. I need help with finding the Hauling. I have always hauled agriculture and forestry products which in that field mother nature determines when you work. I am looking for hauling in MD and the surrounding states ( DE,PA,NY,VA,WV,NC,NJ ). I would like to be home every night but would consider any type of freight. Any leads, advice or suggestions would be greatly appreciated. Thanks in advance. Responding to R.R.A: If you want to be home every night and be an owner operator, you might look into a day cab and higher under construction companies, Budwieser, bread distributors, etc. Everyone else in retail will want OTR. Hello! My name is Andre'. I am interested in starting my own business and would like to do so when I can save enough capital to operate. I have the connections and some know how and can operate my own equipment. I prefer refrigerated but would also do dry van. I guess what I am trying to say first of all is that I need a job in order to get to this point. I am willing to work with someone in a cost efficient manner in order to get both of us going in a good and clean direction. I have my class A Cdl and live in Durham NC. Nowhere in the US is to far! Will someone be willing to take a chance?? My background is not so perfect but I am carved out for success in Trucking!!! My email address is bigcountryshiway@yahoo.com or I can be reached on my cell @ 571-921-6768. Thank you and may God bless you all in your endeavors!! Hello! My name is Basil and i would like to start a trucking business, I have registered a close corporation already, I would like to know, how do i get long term contracts with big companies? hi, i'm from johannesburg. i want to start my own trucking business and i don't have money to start the business or the contract, would you please assist me.